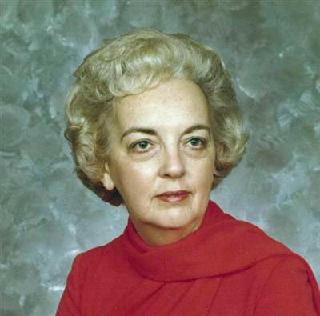 Betty Jo Marsh, 89, of Abilene passed away Sunday, December 7, 2014 at Hendrick Medical Center. Funeral services will be held at 10:00 am on Tuesday, December 9, 2014 at The Hamil Family Funeral Home, 6449 Buffalo Gap Road. Rev. Stan Allcorn will officiate, assisted by Dr. Jeff Reid. Burial will follow in the McBee Cemetery. The family will receive friends from 5:00 to 7:00 pm on Monday at the funeral home. Betty Jo was born in Abilene, Texas on July 2, 1925 to William Z. "Bill" Williams and Alvora Priscilla (West) Williams. She graduated from Ovalo High School in 1942. Betty Jo worked for Abilene Municipal Employees Credit Union where she retired as manager after 20 years. She then worked for Caldwell Products, Inc. as the office manager, where she retired after 20 years. Betty Jo was a member of Pioneer Drive Baptist Church in Abilene. Betty Jo married B.C. Bryan on September 28, 1953. He preceded her in death in 1971. She married Harold Marsh on May 17, 1975. He also preceded her in death on October 27, 1998. Betty Jo was preceded in death by her son, Randall W. Jones in 2005, her sister Ruby Nell Caldwell Kinard in 2014 as well as her parents. She is survived by her son, Ken Bryan and wife Jane of Abilene; her daughter, Linda Cooper and husband Ronnie of Belton, Texas; five grandchildren, Justin and April Jones of Ft. Worth, Kenda and Brian Huber of Shreveport, LA, Kylan Bryan Anderson and Greg of Abilene, Glen Cooper of Austin and Michael Cooper of Belton, as well as seven great-grandchildren.